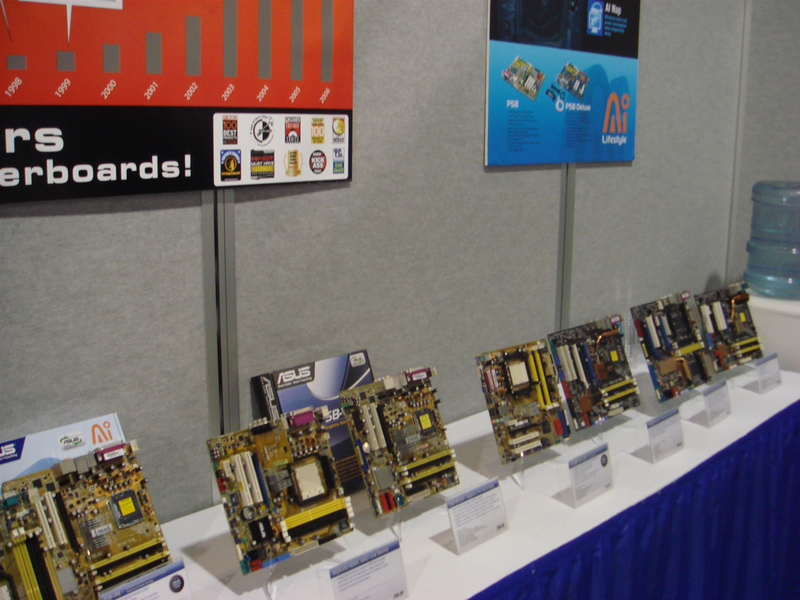 The graphics giant was one of the few companies that we wanted to visit but did not have a booth open to the public. 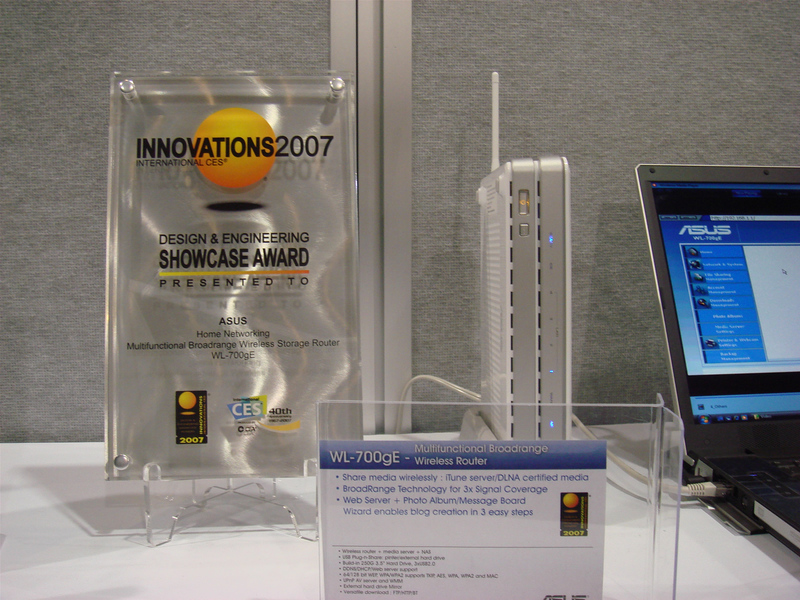 We still stopped by the conference rooms they had reserved nearby the showfloor though it was strict “we can’t discuss unreleased products” for the most part. 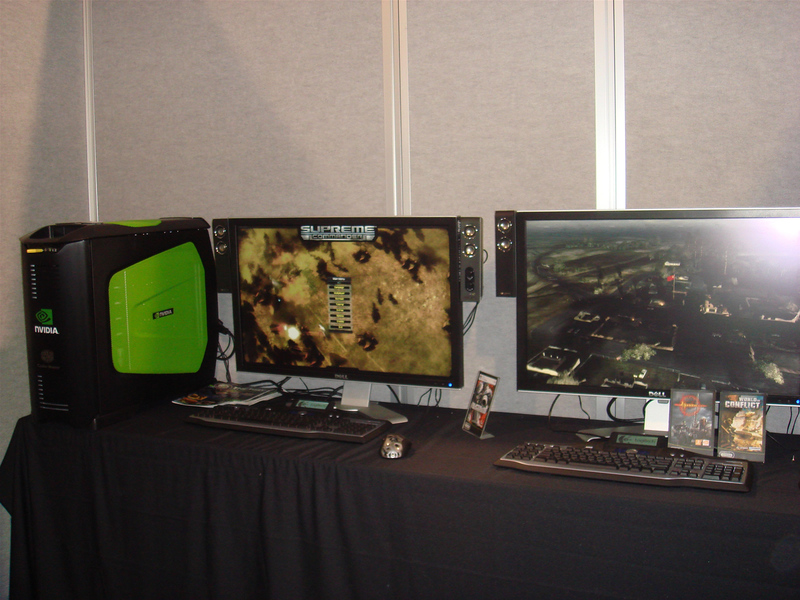 They had a room setup with high-end PCs running DirectX 10 titles like Crysis, Supreme Commander, World in Conflict and Age of Conan. With their latest graphics chip already selling in the market (which I guess is the most important achievement of all) we can’t blame them for not wasting resources on a public booth. 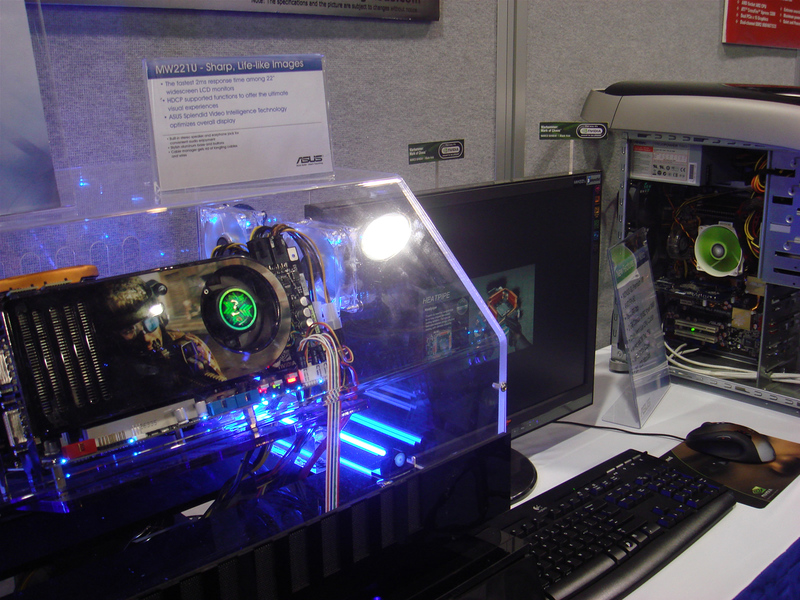 As we all know, more affordable derivatives based on the DirectX10-capable GeForce 8800 chip are being worked on… it’s only a matter of time. The only other thing I remember was discussed was their PR plan for graphics during 2007. 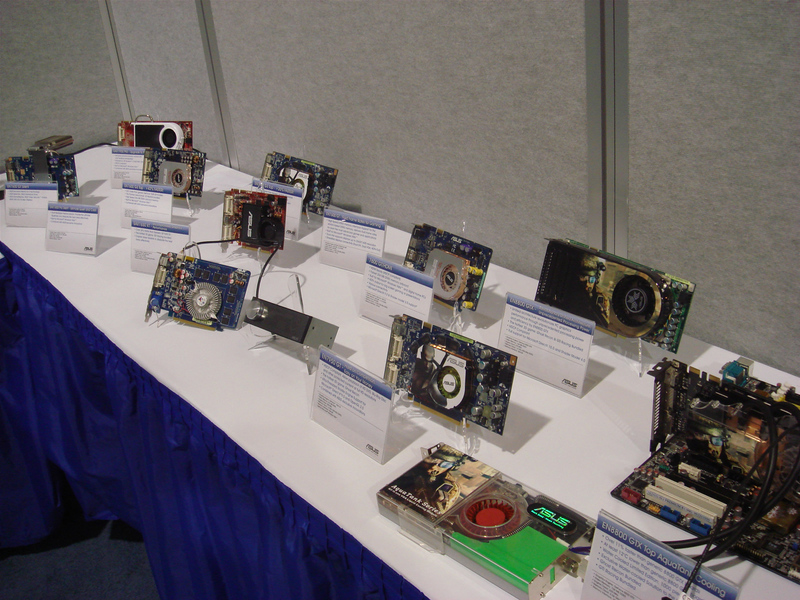 Apparently they will try to get a boost from Windows Vista launch and start educating consumers about the advantages of discrete video solutions that go beyond gaming. 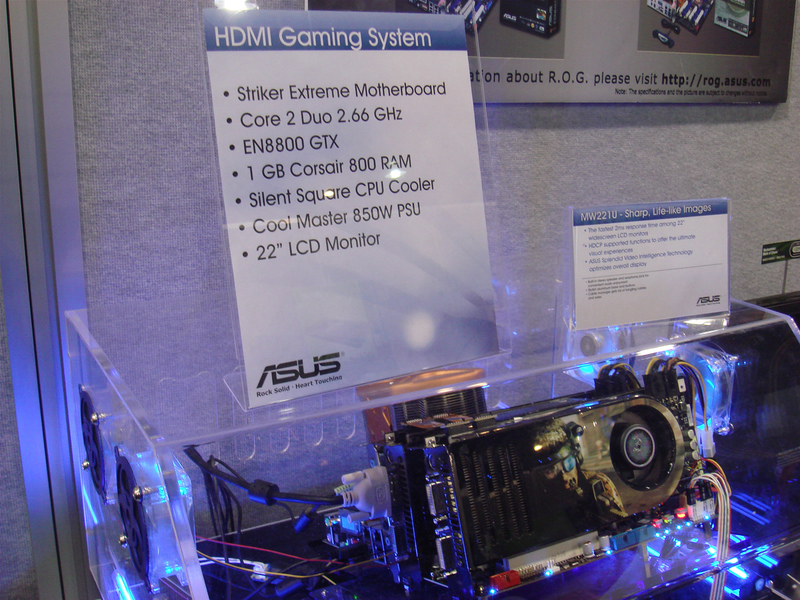 One of our favorite motherboard manufacturers, ASUS was also lacking a public booth at CES. 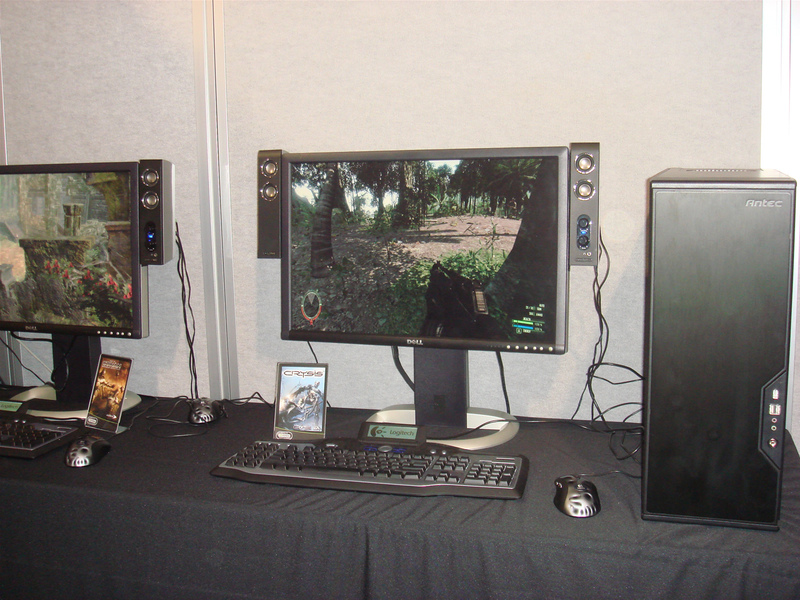 They did have however a room full of peripherals to show to the press. 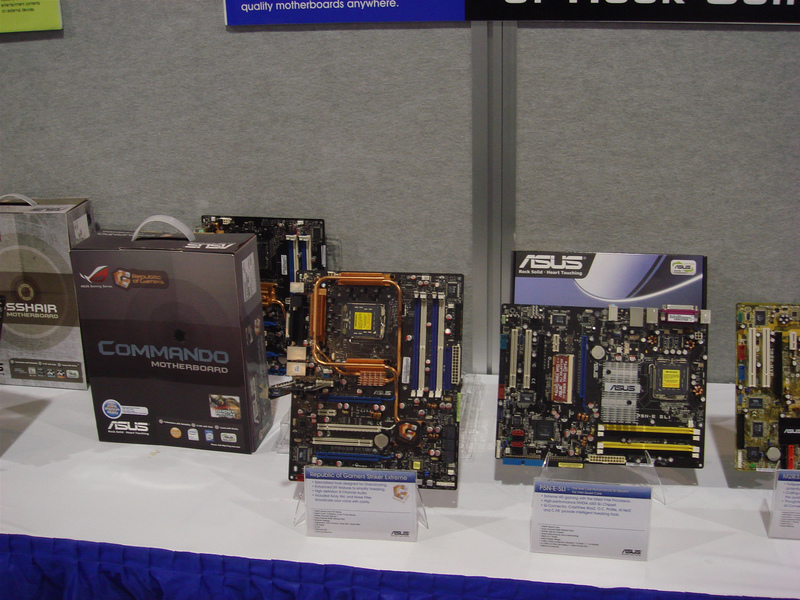 As you will see in the pictures below pretty much every one of their current motherboards and videocards were there sitting on the table along with gaming rigs, laptops that went from fashion (leather casing) to luxury (Lamborghini), Vento cases, and their latest wireless router with storage built-in (Asus WL-700gE) which received an innovation award at CES. 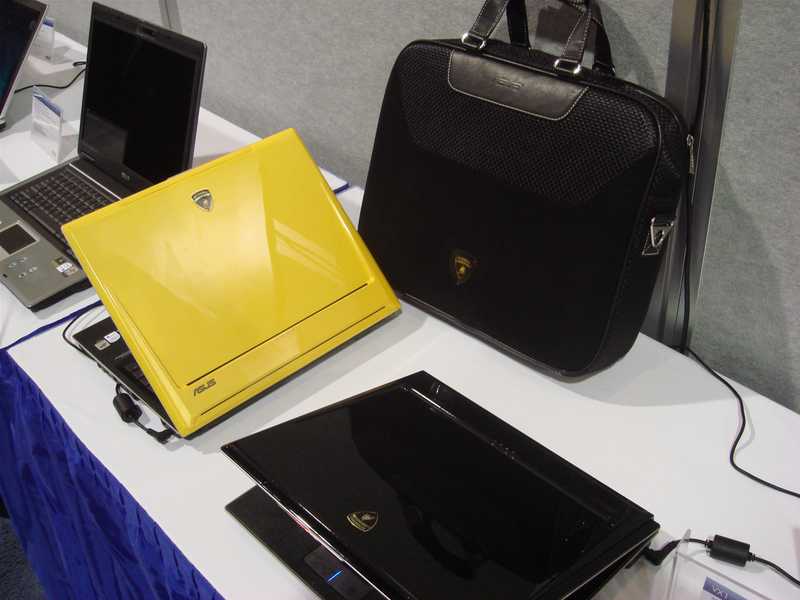 There were two additional products that caught most of our attention however. The first had to be the recently announced XG Station. 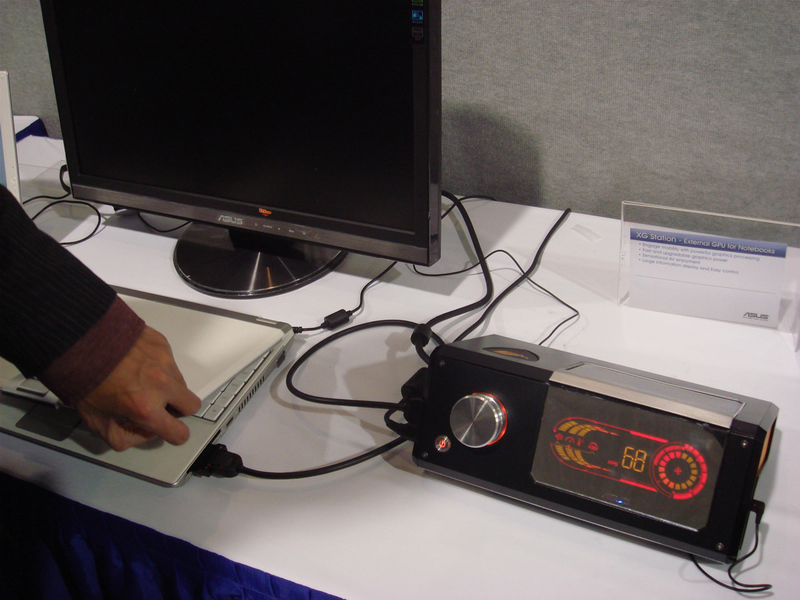 This device will let you connect any desktop graphics card to a laptop using an ExpressCard expansion slot. 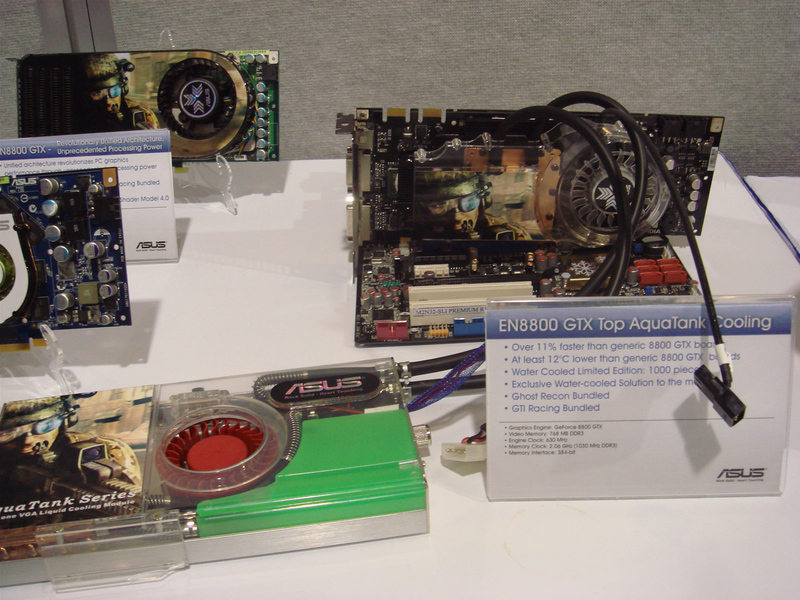 According to the ASUS rep. we talked to, they plan to have the XG Station available in the market as soon the second quarter of this year, and it will come with the videocard as part of the package, which will result in a price of at least $500 to $600 for a moderately high-end videocard. 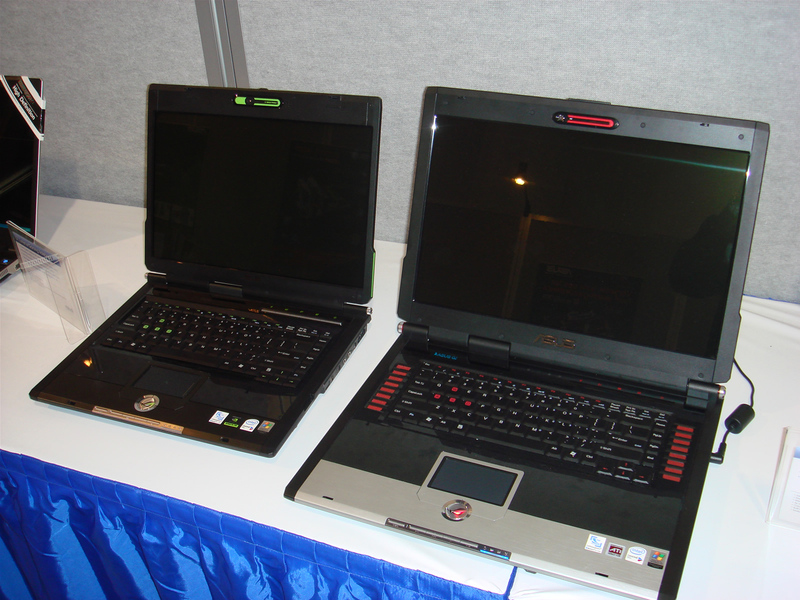 We saw a demonstration of the XG Station in action, with two identical laptops running 3dmark with and without the external videocard powering the graphics. 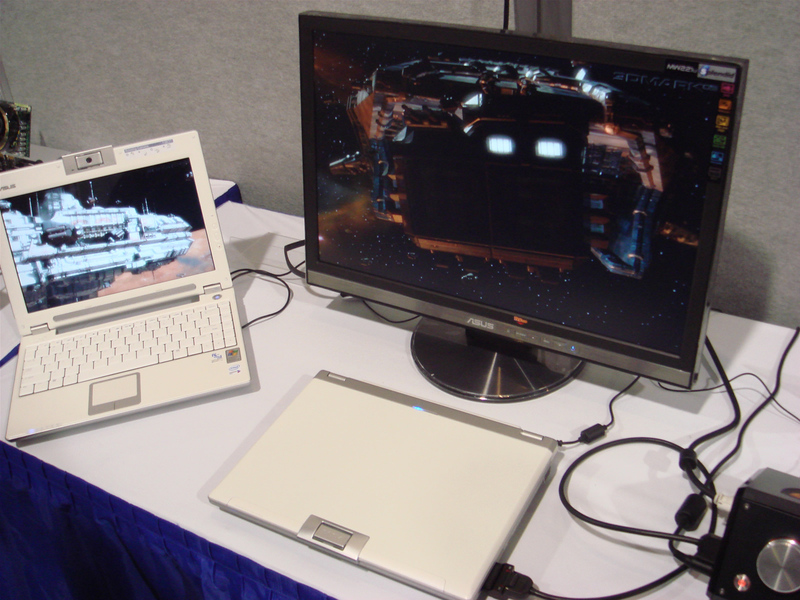 The difference in frame rates was dramatic, though it remains to be seen if there is some processing power lost when using the XG Station when compared to a standard desktop PC. 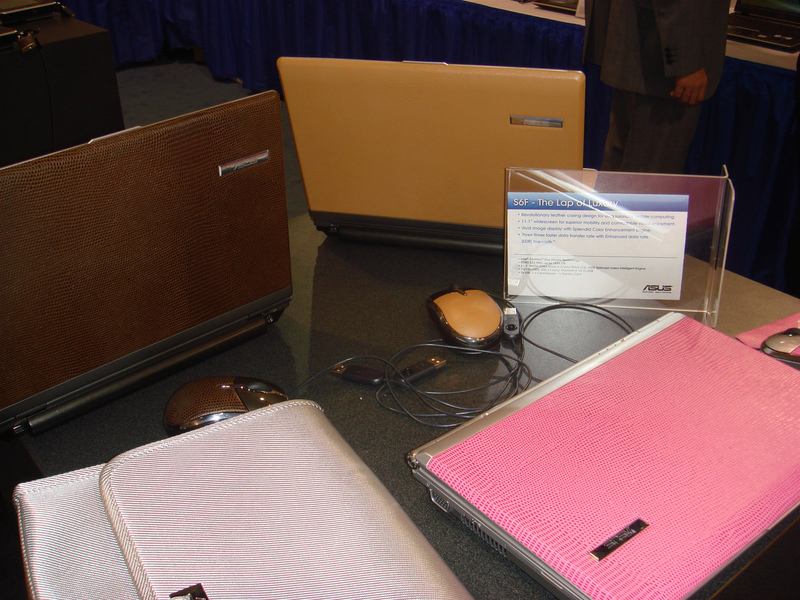 Finally we were shown ASUS’ new flagship ultra-portable, the U1. 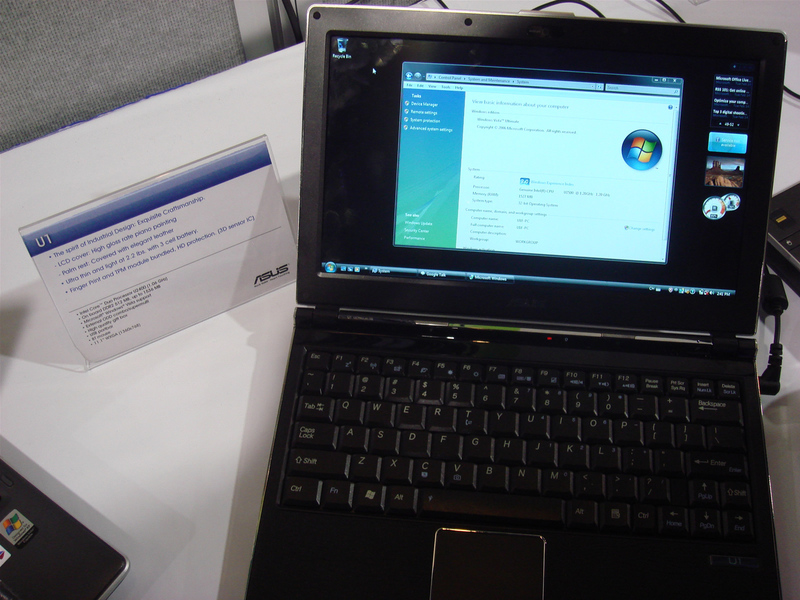 This was the second laptop we were shown that used LED backlight technology. Once again we saw great results from this implementation not only in the visuals department but battery life was elongated as a result. 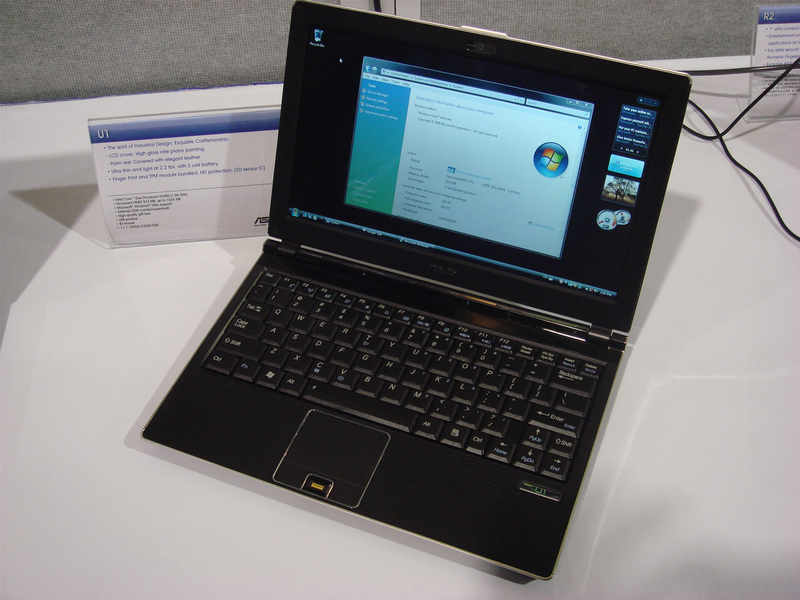 The U1 reminded us somewhat of the very stylish Vaio TX series which sport a similar 11.1” screen. Relatively unknown audio company, Tymphany caught our attention with a new offering which they hope will reach the masses soon. 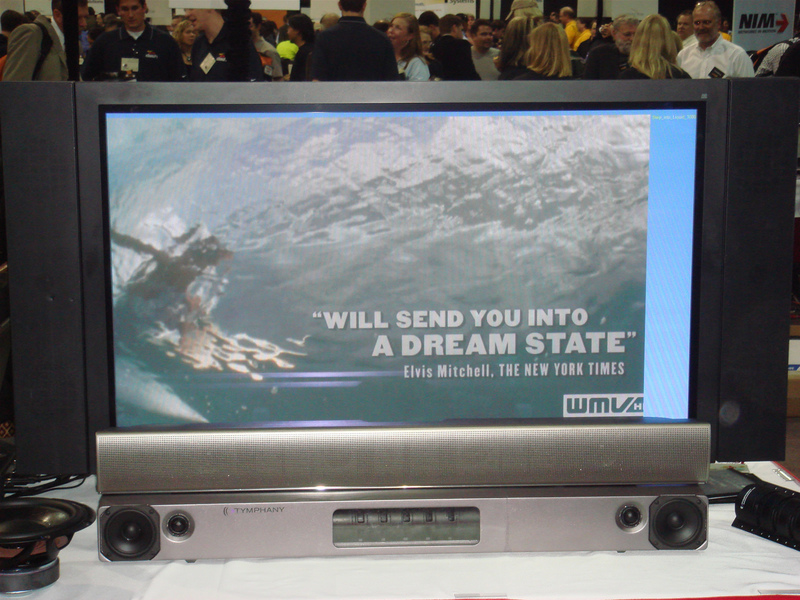 Their small form factor subwoofer is meant to be added to current flat panel TVs which sometimes are lacking in the audio department unless you throw in some home theater speakers. When we were demonstrated there was a noticeable difference in sound quality with and without the tiny subwoofer which they said had an estimated price of $30-40, which shouldn’t have a significant impact in the overall price of HDTVs. Tymphany were showcasing their product hoping to gain some attention from large TV manufacturers and hopefully land a deal.